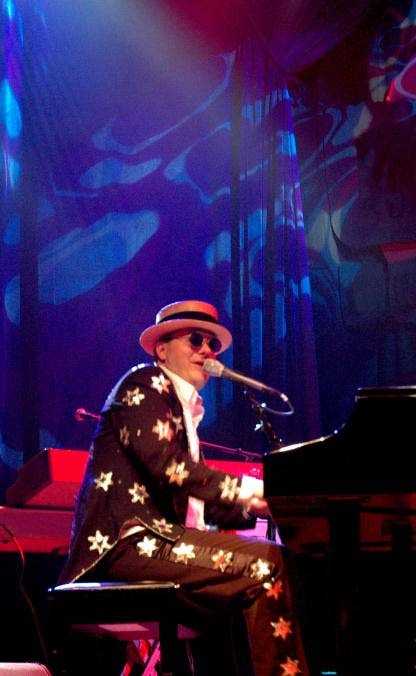 Bennie and the Jets is the Premier Elton John Tribute Band. Bennie and the Jets is led by Greg Ransom whose vocals are exactly like Elton Johns naturally and Greg's piano playing is right on the money! Greg has the ability to make you believe that you're at an Elton John concert. If you were to attend an Elton John concert today, you would miss seeing the plumage and costumes of yesteryear. All contents Copyright (c) 1996-2019 Bennie and the Jets. All Rights Reserved.